Maybe the secret to fame is working hard and updating once a week. Why can't it be working as hard as I feel like and updating randomly? 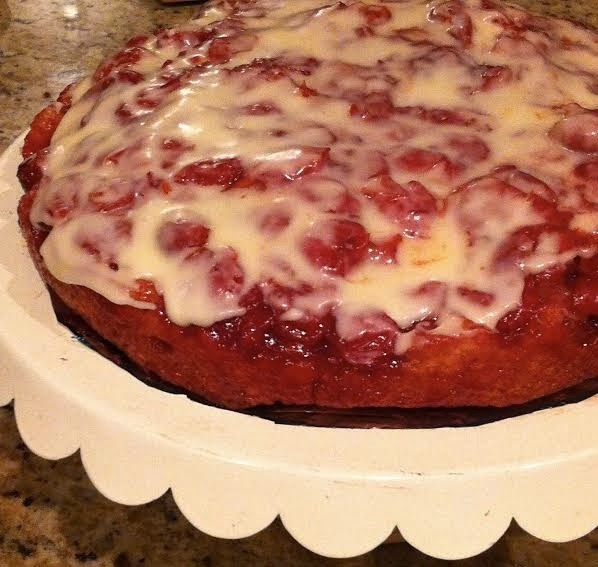 In any case, in honor of our 100th post, I present this beautiful cake! To be honest, I'm really reaching for an excuse to make cake these days. I loosely (mostly) based this on a recipe I once clipped out of a Parade magazine and stuffed into the back of my recipe box. Like most recipes I cut out, or my grandma sends me from newspapers and magazines, I figured I'd never actually make it. I'm not even sure what made me remember this long lost recipe, but I'm glad I did. My plus-one went out of town for a week and I thought what better way to be greeted home than with cake and Parade magazine. 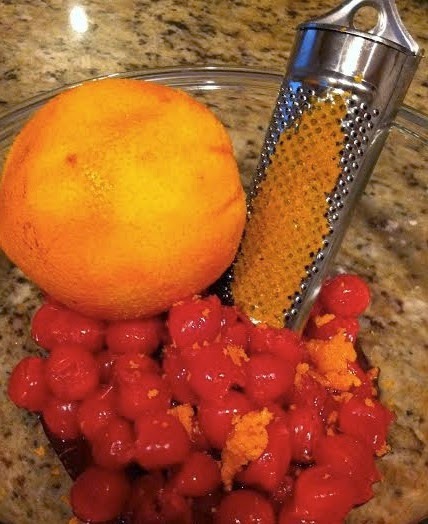 Step 1: In one bowl, grate orange peel onto cherries. Mix and let marinate. On the stovetop in a small sauce pan, melt 2 tbsp butter with brown sugar, orange juice, cinnamon and rosemary (opt). Stir for three minutes. Step 2: Pour caramel sauce into floured cake pan. 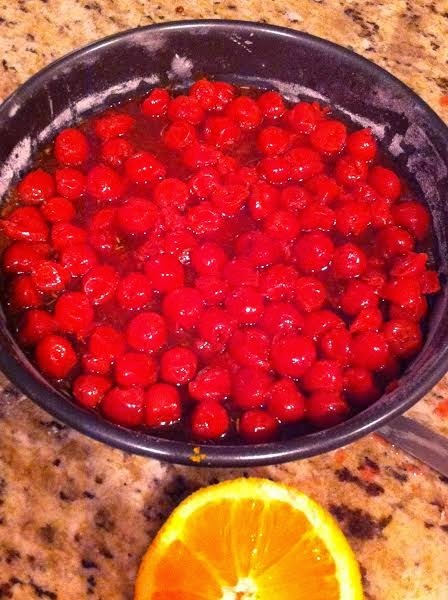 Then cover with cherries. Step 3: Whisk dry ingredients together in a small bowl. In a large bowl cream butter with sugar. Add egg, vanilla and sour cream. Finally add dry mix and stir until it comes together. It will be dryer than most cake mixes. 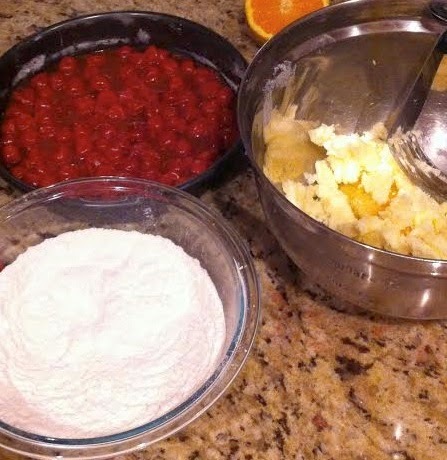 Step 4: Top cherry mix with cake batter. 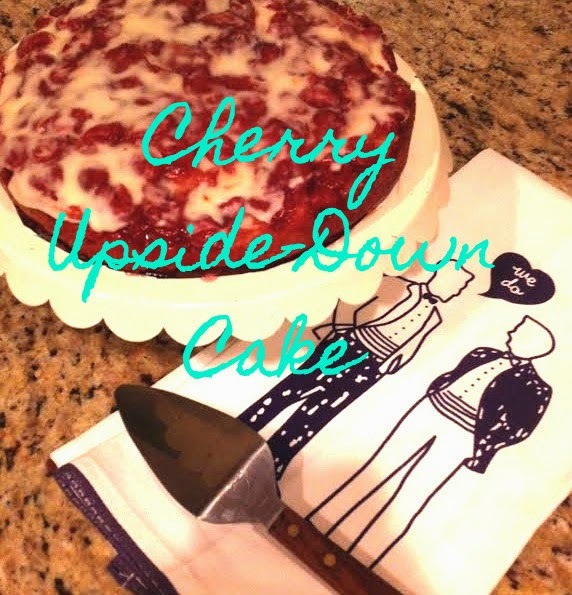 Make sure it entirely covers the cherry mix without cracks or openings in the dough. Bake 40 minutes. 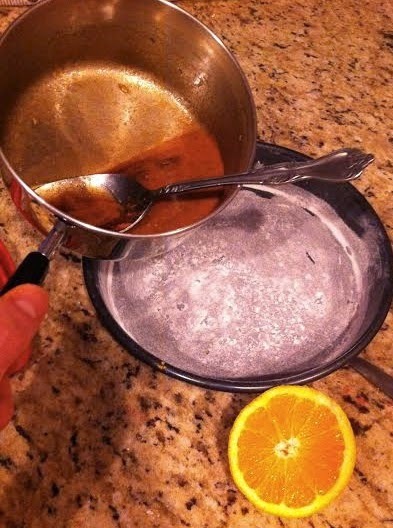 Make the Glaze: Mix melted butter with confectioners sugar and orange juice. 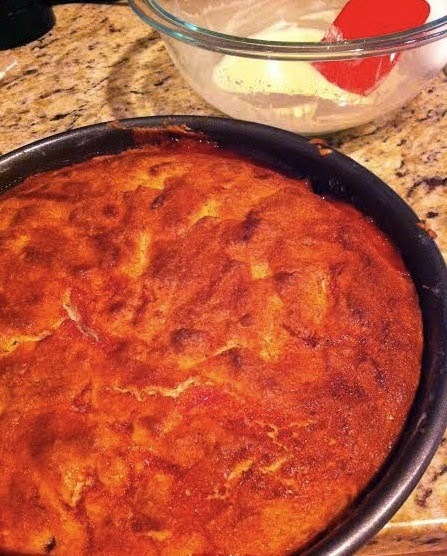 Allow cake to cool in pan for five minutes. Turn out onto cooling surface and wait another thirty minutes. Once cooled, glaze and wait for your date to show up.